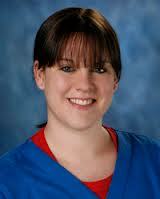 Ashley has been practicing massage therapy in her own practice for two years. She has furthered her education specializing in deep tissue, trigger point therapy, and myofascial release techniques. She is a premier massage therapist at Godfrey Natural Chiropractic under Dr. Bruce Godfrey. The practce recently moved our clinic to Aksarben Village.